We encourage you to contact us directly with any queries you may have, but if you aren’t ready for personal contact just yet , we hope the answers to the Frequently Asked Questions below will put your mind at ease! Ok… if we are honest we can’t really answer that one for you, but I’m sure you’ll confess you didn’t really come here for an answer to that question either and just clicked out of curiosity! Well, for us life is all about harnessing that curiosity, taking ideas from a concept phase, tinkering with them, tweaking elements, (and occasionally starting again from scratch) until we produce something that everyone involved can be proud to be a part of. Whether that really is the meaning of life? Who can say for certain. All we know is that we love doing it. Why should I work with Ivory Haze? Put Simply? Because we are passionate about what we do. Whether it be a family photoshoot which will only be seen by the friends and family who visit your front room, or a Feature Length DVD for international release – we give our absolute all to every project we take on. We treat everything we do as its own entity and work hard to emphasise what it is about you, your product, or your message that stands out from the rest. We believe everyone deserves fresh ideas, and not carbon copies. Contrary to popular belief, being professional and having fun do not need to be mutually exclusive. It would seem rather self indulgent to describe ourselves as fun, creative, professional and dynamic, so we were delighted when our customers did so for us on our testimonials page. If you’ve gotten this far then why not take it a step further and let us know about your requirements. Once we have had a bit of a chat – we will draw up some ideas for you to ponder over. If you don’t love what we come up with – then it hasn’t cost you anything but your curiosity! Why do Ivory Haze offer Photography, Film & Design? Why not go to a Photographer for your Photographs, and a Film-maker for your Video. If you then need a Designer, you can find a Design company! Some people say that you are better off going to a specialist for each, as they will have a much greater focus on their specialist subject. We agree with them! – This is exactly why at Ivory Haze, the heads of our Photography, Film, and Design departments are 3 different people, with 3 different career histories, and 3 different skill sets. This means that whilst we are able to focus on our own specialities, we are working in such close proximity that we have no option but to bounce ideas around whether you need a combination of our services or not. Through our colourful and varied career histories, we have learned that it can very hard to get seperate design, photography, and film companies to work together in perfect harmony. Different systems, workflows, and even things down to different software versions can inevitably lead to everyone pointing the finger at each other as to why a project is past its deadline, whilst you are left picking up the pieces and hand having to come up with some dubious excuse to your boss or audience. Rather than working independently, it made sense for us to be able to offer our customers a “One Stop Shop” where all of their creative needs can be met. We can help you to keep your identity consistent across all formats right down to the smallest detail. Want t-shirts or other merchandise to go with your project? We can pass your enquiry on to one of our print partners and ensure that all of your branding is exactly as you expect it. What sort of organisation is Ivory Haze? 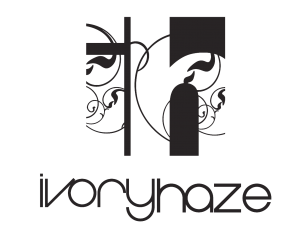 Ivory Haze is a registered company in England and Wales Limited by Shares. Registration number 0767245. Our offices are studio are based in London, but to get away from the distractions of city life, we often spend our time editing locked away in a quiet village of Bray in Berkshire. Ivory Haze have specific industry related insurance policies that protect you from Re-shoot cover, Legal Cover, Archived Records Recovery, to Damaged Computer Equipment – we have the financial backing in place to give you the assurance that we will do everything we can to help you in the unlikely event that something does go wrong. Rest assured, procedures are in place to prevent it ever getting that far in the first place! This is always a tricky one to answer in our industry. We have turned around product photoshoots to print ready imaging within 24hours, and produced short films in 48hours. We also have other projects which have been filmed for up to 18 months before even getting into the edit suite. The best way to work with time scales is for you to tell us what you need and when you need it, and we can then work out the best plan of action to get you what you need, when you need it! If we don’t think a date is achievable we will tell you up front. We’ve all been let down in the past, whether it be by a courier with an important birthday present, or your boss with your wages – We know how frustrating it can be, and want you to be rest assured that if we agree a delivery date with you, come hell or high water we will do whatever we can to meet the deadline! What if I don't like the work you produce? Whenever we produce a final piece of work, we dont just deliver it to you and expect that to be the end of it. Our job isn’t done until we know you are delighted with the work you have received. When we finish a job, we send you a digital draft version along with a handy content approval form, and then it’s a simple case of giving us your approval. This is then immediately sent back to us for us to make any final changes before the final version is sent to you. Why am I still reading this FAQ? You are obviously interested in Ivory Haze and cant wait to work with us! OR you saw the title and clicked the drop down arrow (like you probably did on the first one!) We would love to hear from you to find out either way!